In April of 2014 and July of 2013, Apex Magazine published reprints of a pair of short stories by an author named Kelly Link: “The Faery Handbag” and “The Constable of Abal.” Now we are proud to celebrate a great achievement of hers. 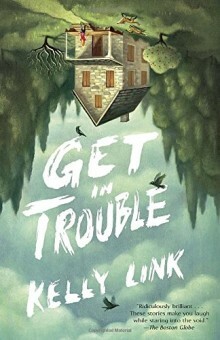 Link’s collection of short stories, Get in Trouble: Stories, placed as a finalist for the Pulitzer Prize! Kelly Link has now written four award winning books, along with 9 award winning short stories. We had the opportunity in 2014 to interview her, and she had several exciting tidbits for us! If you want insight into her own creative process and thinking, I highly recommend reading the interview. Congratulations to Kelly Link! We’re proud to know her as a friend and a writer.